Multi-cam editing allows the editors to cut a program quickly without affecting the playback of multiple resources in real time. The camera angles can be synchronized on the basis of timecodes, in or out points or even on audio wave forms. 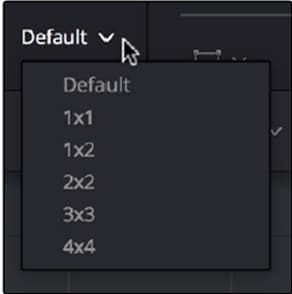 DaVinci Resolve would place all the various clips shot from a camera onto a similar angle when making the multiclips. 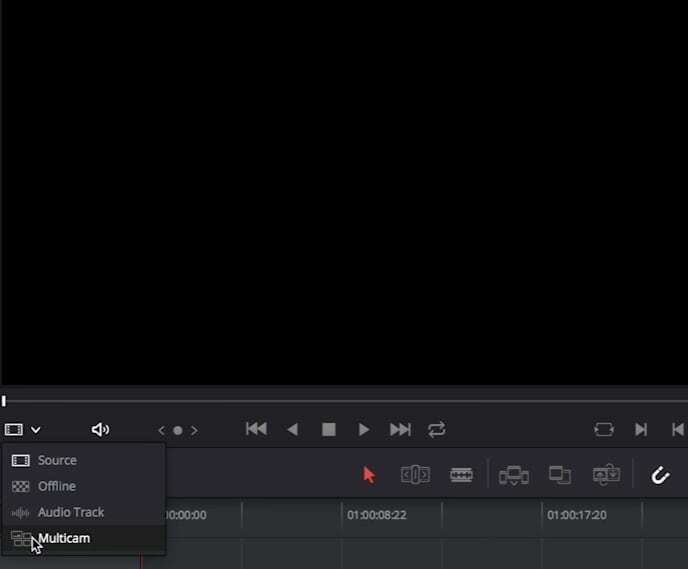 After finishing your first cut you will be able to return and change to another camera angle, change the sound track or trim the footage by making use of the trimming tools of DRV. In today’s post we will discuss how to use multicam editing on DRV 12.5. DaVinci Resolve is a very professional video editing software and it is difficult if you are new to video edit. In such case, we recommend you to try Wondershare Filmora, which is easy to use yet powerful enough for video editing. It features not only the basic video editing functions, such as trimming, splitting, cropping, and cutting, but also some advanced utilities such as video stabilizing and green screen. Watch the video below and download Filmora now. Firstly, you need to make the multicam clips from the individual camera angles known as ISO or isolated cameras. Secondly, you have to place the created multicam clips onto the timeline. Lastly, you need to switch on the Multicam Viewer on DRV so as to start multicam editing. Angle Sync is used to synchronize all the various angles. 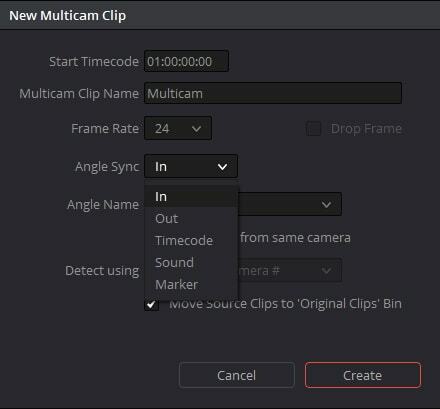 You can sync them manually by using the in/out points set within the individual clips or you can make use of the first Marker which has been set within each clip. Open the timeline containing the multicam clip and place the playhead on the position from which you want to start the edit. Select the number of angles you want to display by going to the pop-up menu at the bottom of the Source Viewer on the right. If you are using a slow PC, then lower the number of angles in order to maintain real time playback. Go to the Audio/video selection buttons in the Multicam Viewer and select if you want to switch both video and audio, only the video or only the audio from the left to right. Any angle in the Multicam viewer can be clicked for inserting a cut on the Timeline or for switching to that angle. Click any angle option can come in handy if you later don’t like the angle you have cut to and want to revert the entire segment to the last cut. If you want to stop your multicam edit just stop the playback. You can fine tune the clip by going to Source from the Source Viewer mode and then re-edit the clips in your timeline like any other clip. When you are about to edit or trim the clip, there isn’t much of a difference between multicam clip and a regular clip. You always have the option of deleting your edited clip by choosing it and then clicking the Delete button. 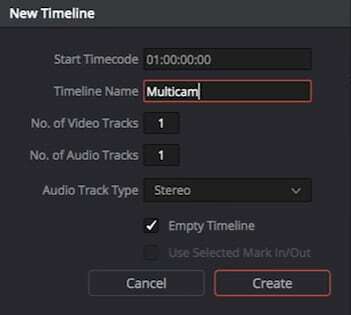 If you want to flatten a multicam clip on the timeline, then right click on the clip and select ‘flatten multicam clip’ from the sub menu. 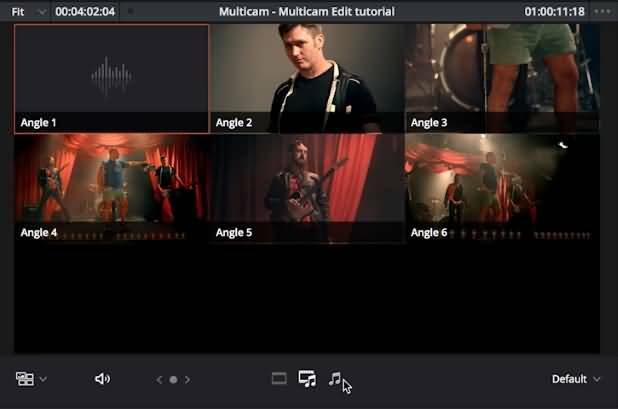 Watch the video below to check the multcam editing in DaVinci Resolve step by step.